Plan A… Yesterday we had signed up for the civilian fly-in at the Columbus Air Force Base. We had our standard government paperwork filed to land at CAFB and we were excited about spending the day around the jets on base and spending some time in the simulators. The weather was looking good until we arrived at the Raymond Airport to depart… heavy fog. We waited as long as we could for it to clear, but no luck and our time ran out. In order to land at CAFB, we had a designated slot time for arrivals and if we were not “wheels up” by 0715 from Raymond, we would not make the slot. At this point we threw up our hands and drove to Starbucks for coffee and a muffin and to come up with Plan B. 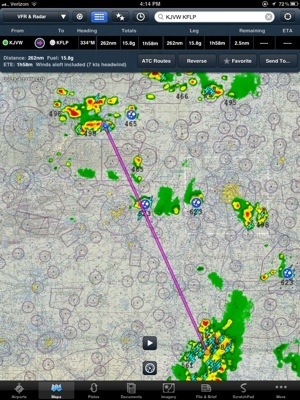 Plan B… One of the things you learn as a pilot is to always have an alternate plan. Our Plan B, was to go to the fly-in and camp out down at Pineville, LA (2L0) and check out the planes and eat lunch. We have been to Pineville for their monthly breakfast several times, but not to the fall fly-in. I started looking at the weather south of here only to see that it was still socked in near Pineville. 1/2 mile visability and 200 foot ceilings still plagued south Louisiana, so we decided to rub on the plane for a while until the weather broke at our destination. 2 hours later and a call to the automated weather system at Alexandria confirmed the poor computer reports… It’s still low IFR. Now we are getting stir crazy and ready to go somewhere. Plan C… We had been invited to fly to Starkville with some friends to watch Mississippi State play Tennessee, but had decided that flying home after an 8:00 game was not for me. But, this is the south and 90% of the fun of college football is the pre-game campus environment. So, Plan C turned out to be flying to Starkville, MS (KSTF), eat lunch at our old favorite place, Oby’s, and walk campus before the game. This was perfect, after a great lunch, we spent some time shopping in the book store, visiting the Student Union, watching other college games on various TV’s and tailgating with friends. 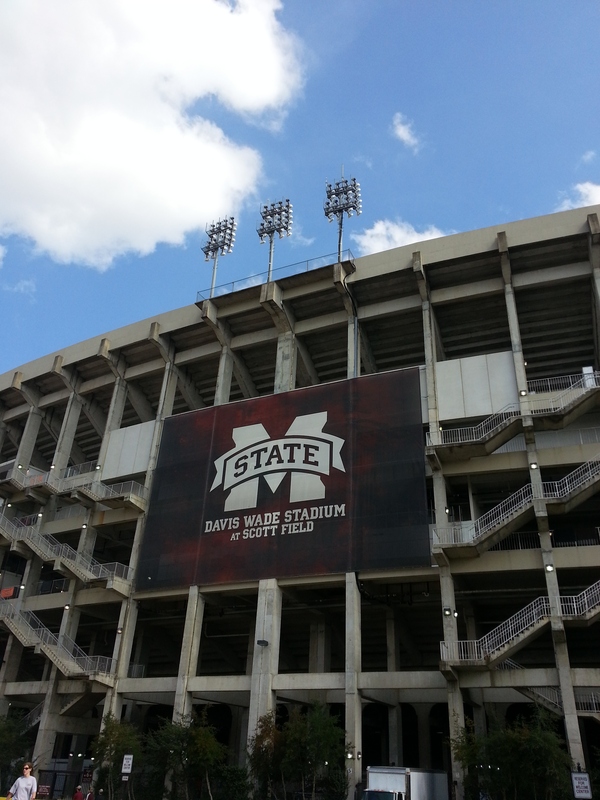 After walking miles and covering the beautiful MSU campus we flew home to just in time to catch our Bulldogs on ESPN. #HAILSTATE… After waking up at 0500, this had been a long day… We were tired, but wide awake in front of the TV until 2330 when our beloved MSU Bulldogs defeated The Tennessee Volunteers 41 to 31. Our now 15th ranked Bulldogs are 6 & 0 for the first time in many years and should be 7 & 0 when they roll into Tuscaloosa on the 27th of October to play the #1 ranked Crimson Tide of Alabama – GO DAWGS! Great Deal… We have been playing around with different video cameras for the last two years; borrowing good ones from others and using our own that were not really designed to be “action” cameras. 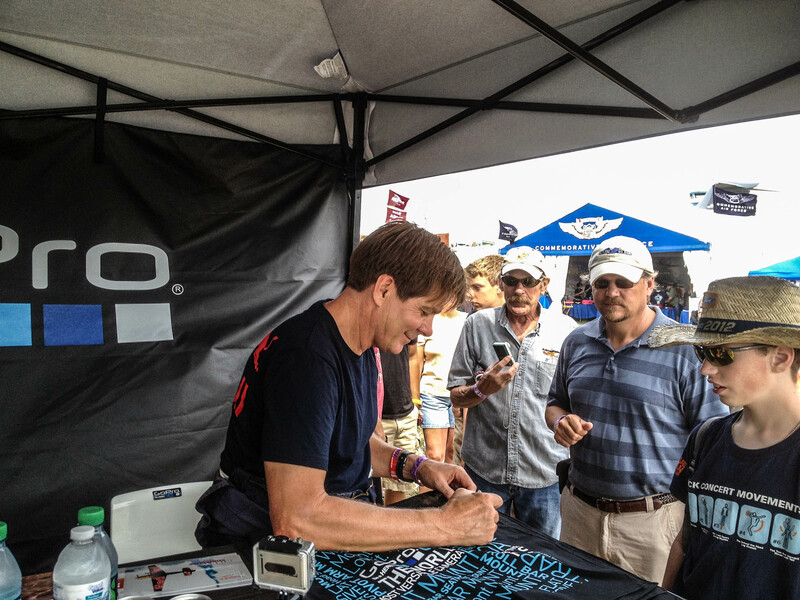 While at Oshkosh, we went by the GoPro booth and looked at their line of cameras. I had seen them before and had been impressed with their ability to withstand harsh environments. I have seen them on TV shows like Flying Wild Alaska and Gold Rush being put to the test. At $299, they are not the cheapest solution, but are one of the best. Luckily for us, while at Oshkosh, they were offering a $100 off coupon, if you registered at their booth, so we did… 2 weeks later we got an e-mail link to a special site that allowed you to purchase the HD HERO 2 for $199 – that’s a GREAT deal! Zero to HERO... So when our new unit arrived this week, I could not wait to put it to the test. Today was forecast to be cooler and clear, and it was. We played around with the mounting system and looked at locations inside and outside of the plane. The camera is very versatile and puts out incredible video. The ability to input audio from the panel is what had me sold. Mounting is as simple or complex as you want it to be. 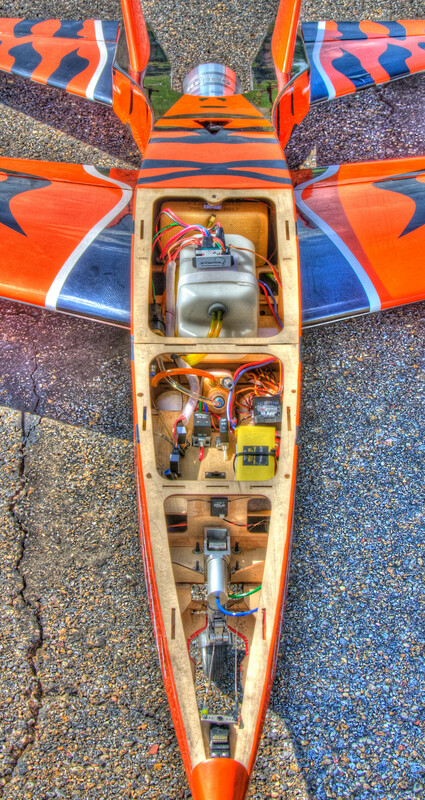 We modified one mount to go under the wing looking forward at an angle, this proved to be a very interesting view. Video Below… After enjoying a wonderful day at the airport and in the air, I came home and managed to put a few of the clips together. My video editing skills leave a lot to be desired, but here it is, watch it & tell me what you think! Got Out of Mississippi Just in Time! Operation P.R.O.P. is THIS Saturday, May 12th and we need some pilot volunteers with their airplanes to be at the Raymond Airport! Please contact Linwood Nooe at the phone number or e-mail in the press release below to let him know you are coming. We really need some larger 4+ place aircraft to help us out at the event. Please try to be at the airport at 09:00 so that we can have a safety briefing and go over the flight details. I think you will find, as Beth & I did last year, that this will be a very rewarding experience for the participants as well as the volunteers. YOU ARE INVITED! ALL FREE! Operation PROP is pleased to announce the third Let’s Go Flying event on Saturday, May 12, 2012 from 10 AM – 2 PM* at the John Bell Williams Airport in Raymond, MS. Operation PROP is a nonprofit organization for People Reaching Outrageous Potential by introducing people with disabilities and Wounded Warriors to recreational and employment opportunities they may not know exist.Operation PROP is a gathering of pilots with a special purpose – to offer people of all ages with all kinds of disabilities the opportunity to break the bonds of earth and experience the joy of flight. Flying can be a life-changing experience that brings new adventures and builds self-confidence to better handle life’s challenges for persons with special needs. A fun day is guaranteed for all! A few of the exciting activities include the joy of flying in an airplane for persons with disabilities, exhibition by Jackson’s own wheelchair basketball team, “The Rollin Tigers”, and the world renowned wheelchair fencing team, “The Blade Rollers”, art classes, face painting, lunch and more! And IT IS ALL FREE! Posted in Airplanes, Aviation, John Bell William Airport (KJVW), Operation P.R.O.P. 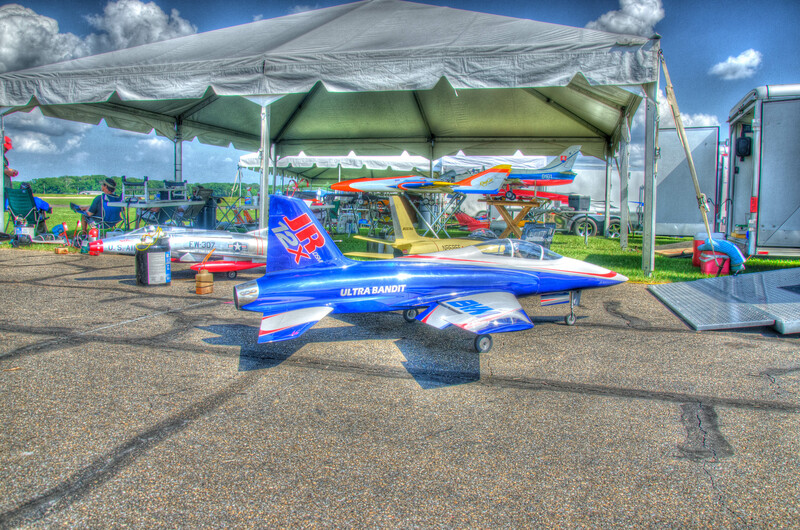 RC Jets… Once a year the Raymond, MS Airport (KJVW) hosts a group of remote control jet enthusiasts from all over the country. The Mississippi Afterburner Jet Rally is a 3 day event showcasing some of the best examples of remote controlled jets that can be found. This event is a fundraiser to generate scholarships for the Aviation Technology Department at Hinds Community College. Mississippi Jets Radio Control Club established the scholarship fund to enhance and support aviation education in our local community. The Mississippi Afterburner Jet Rally is the sole funding source for these scholarships. These are not your average “weird uncles” remote controlled airplanes… (no offense, i’ve been that guy) – these plane have real jet engines burning kerosene at tens of thousands of RPM’s! Some of these guys have the same amount of time in building their RC planes as we do in building our full size homebuilt plane and you could buy a really nice Cessna 150 for the dollars they have invested. I tried my hand at remote control airplanes about 15 years ago… I was much better at building the planes than flying them. Take it from someone who has done both, it is much easier to fly a real airplane from the left seat than it is to fly an RC plane headed toward you at 100+ MPH and some of these planes are flying at 200 MPH! HDR… As usual, I had to take a few handheld HDR pics as seen below and to the upper left. The photo below was so full of color that it really stood out in my eye and the vertical crop on the above photo shows the guts of one of these complicated birds. Click on the images for a larger view. Follow Us… To see more of our travel adventures, follow us by e-mail by entering your address in the block on the right or click the “Like” button if your a Facebook user. OK… time for a little photography, since we can’t afford to fly off somewhere every weekend and no one has offered us a new pair of waders…(see last post). This 3 frame (handheld) HDR shot was recently taken at our home airport, John Bell Williams at Raymond (KJVW). 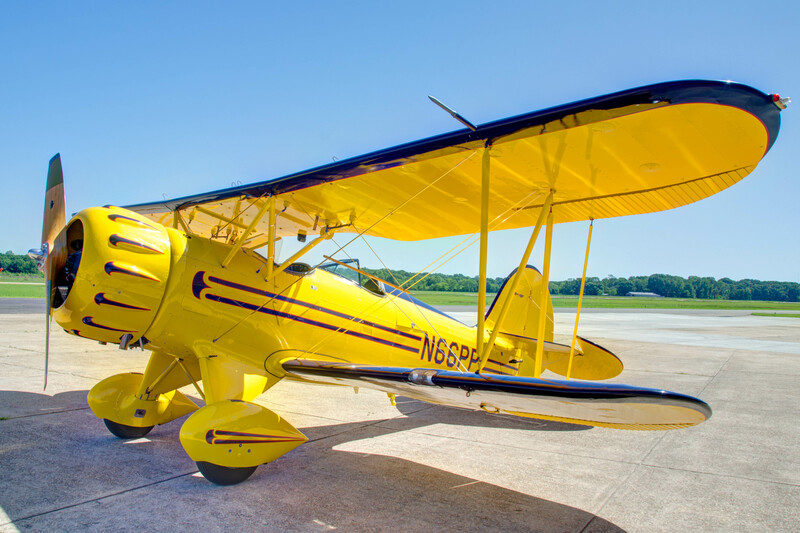 The Waco was being flown by Dan Fordice of the Southern Heritage Air Foundation located at the Tallulah-Vicksburg Airport (KTVR). Dan is a member of our local EAA Chapter and flies one of the museum’s beautiful birds in when he can. Currently the museum is open by appointment only, but plans are being made to open it to the public later this year. You can see more about the activities at SHAF at their website.